Luxury holiday villas in Flayosc. 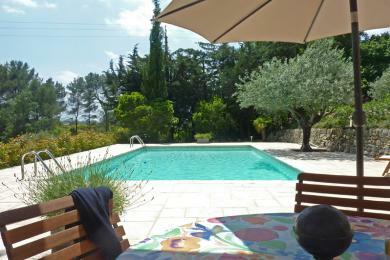 Comfortable holiday home with private pool, located 800 meters from the picturesque village of Flayosc, Provence. There is a homely feel to this comfortable house. Sleeps up to 6 adults and 2 children. 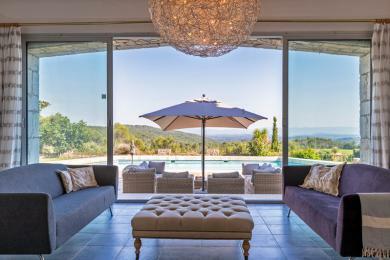 Unique and above all a spacious villa with private pool in Flayosc, Provence. 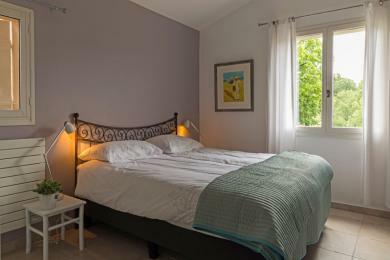 The villa offers a beautiful panoramic view over the surrounding hills and the picturesque village of Flayosc. 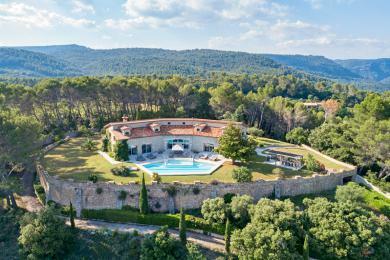 The villa is situated on 40 hectares of private grounds at short distance from Flayosc. Space and privacy characterize this villa. This villa sleeps 12 guests.